I don't know how many times I've had to type out this post . . . . once I did and someone closed down the page without saving it, then the computer restarted and I didn't have it saved. Then the picture hosting website wasn't working . . . ugh. Anyways, I hope this is the final time I will have to write out this post. This is like my favorite shot to get on our loonngg driveway. Yes, that's me throwing a snowball at my sister. *cough* I'm so nice, aren't I? She did put snow down my sweater when I was trying to take the first picture . . .
Max took a lot of these pictures. Thanks Max! Nehemiah in the stroller. Every time I say, "Nehemiah, you're so cute." He says, "Cookie!" I guess he thinks I'll give him a cookie or something. Later that beautiful afternoon we went to the pond. I got a few pictures of Anna . . . I really like this little spring house. It's perfect for pictures! In case you're wondering where we are, it's in the cornfield behind the pond. 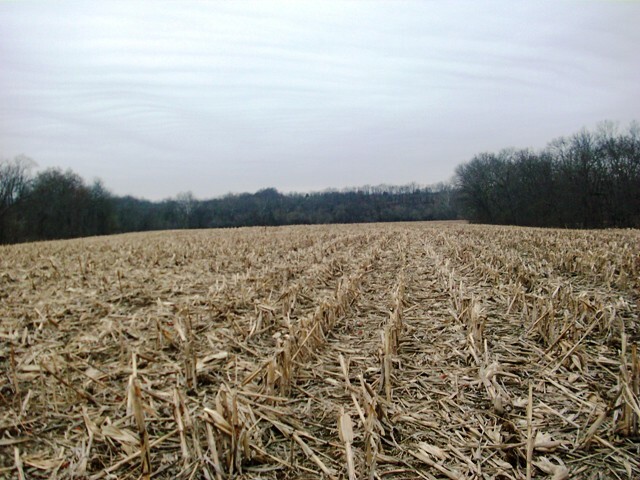 Of course there aren't cornfields in the wintertime. I don't think I'm big on cornfields . . . I've gotten lost in one before. I was by myself & barefooted. And I was lost for a while. Not fun. Anna looks like somebody from Little House on the Prairie or something . . .
See the trees way down there? 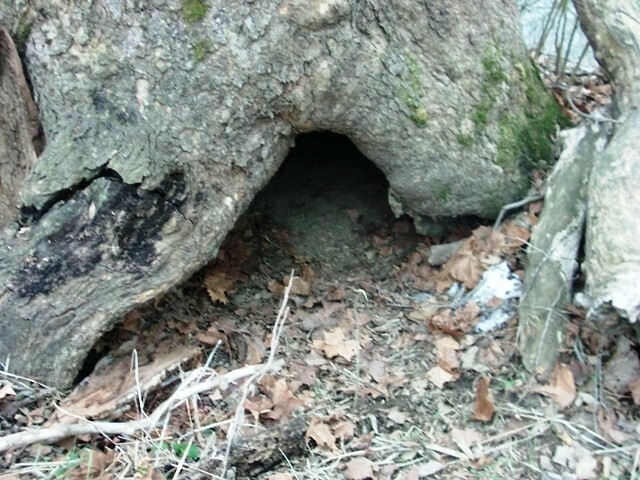 That's where the huge hollow tree is. It looks a lot bigger than that in real life...all four of my brothers, sister, and I can fit in it. Probably five people can fit inside. 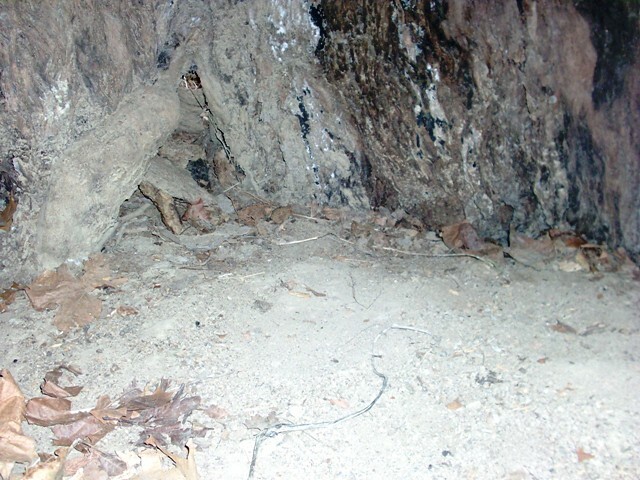 Well, there's the end of our Hollow Tree Adventure. We've already hidden from evil dwarfs inside of it and pretended to be pioneers. ;) Who knows what we'll use it for next time? Oh, and we're still sick. Thank you all for the birthday wishes, and all the comments on Anna's blog made her day! Psalm 30:4 ~ Sing to the LORD, you His faithful ones, and praise Him for His holy name. That tree would be so much fun!!! So many adventures just waiting there right? Whoa! Cool! Feel better soon! Thanks so much for entering my giveaway :) It made my day! And thank you for inviting me to enter yours. I definitely will! You have a really nice blog, and your photography is beautiful! 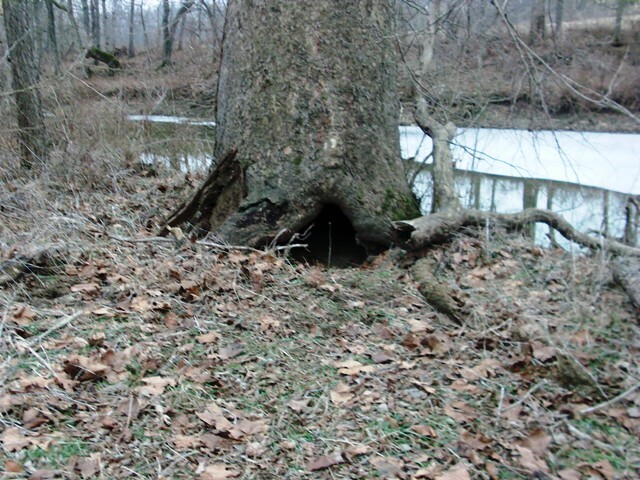 That hollow tree like something you would find in a movie! It looks like so much fun! I'd love a hollow tree to hide in...and read in peace! We live near A TON of corn fields. And sometimes when we are driving by I'll say, "Look more CORN!" That is a really cool tree! It looks like you had fun. :-) Hope you feel better soon. OH. MY. CHOCOLATE. Now how is that fair that you guys have a ton of awesome trees, and all I have it a few trees that aren't even 10 inches in diameter?! 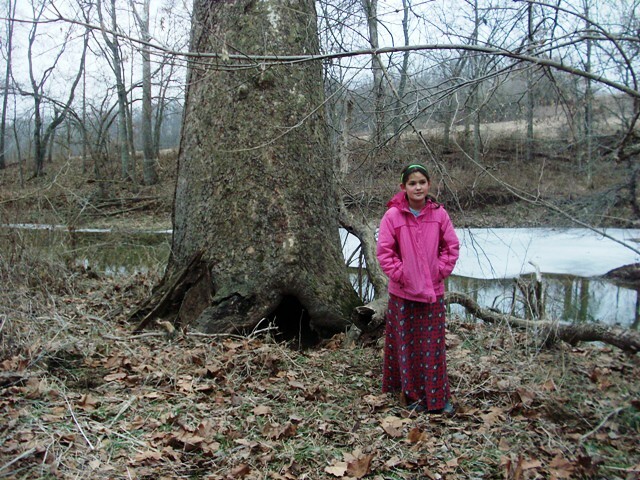 That hollow tree is the coolest thing ever! What a neat find! And what gorgeous property you are all living on - lovely, lovely!